Need new leave behinds. 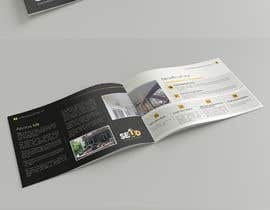 Please use the "brochure design idea" as a template. 8 pages max including front and back "cover". Use materials in "LeaveBehind 2017" for copy and photo placeholders. Will provide HD photos for final product. Needs to be editable upon completion. Hi! CH please review #30, thank you. Hello sir, just follow your brochure idea to create new one ? And you need a spread will combine by 2 of A5 pages or 2 of A4 pages ?